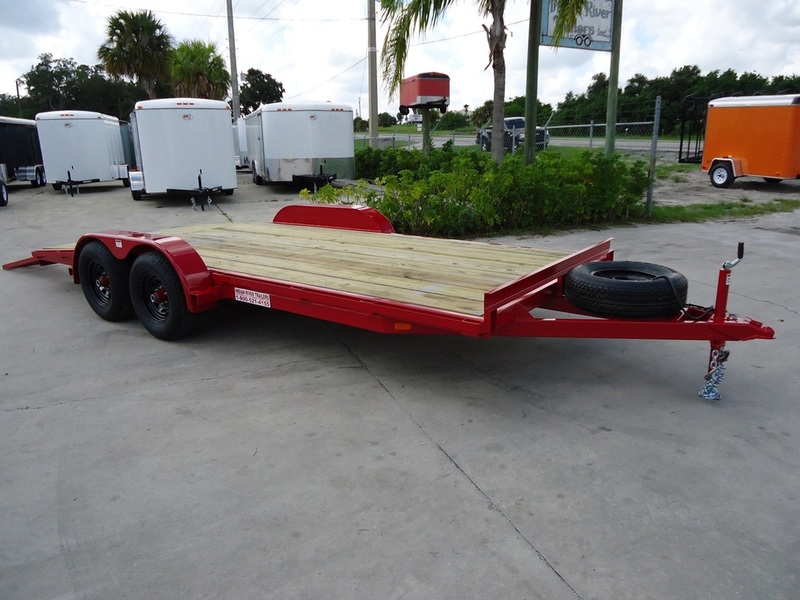 We make every type of open utility and heavy equipment trailer. 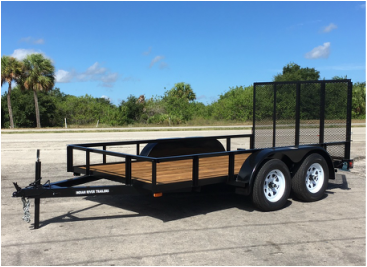 Scroll down to learn more about our car and motorcycle haulers, dump trailers, heavy duty equipment and pool service trailers. 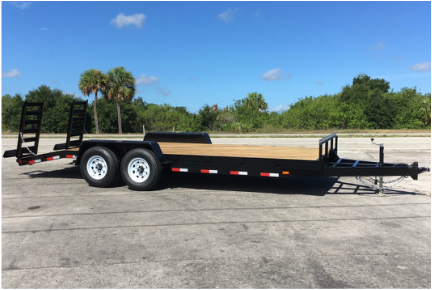 We can customize width, length, side height, deck material, color, number and type of axle, tires, gates, and more. We can custom manufacture racks, attachments, and hardware so you can organize and keep your equipment secure on the road. 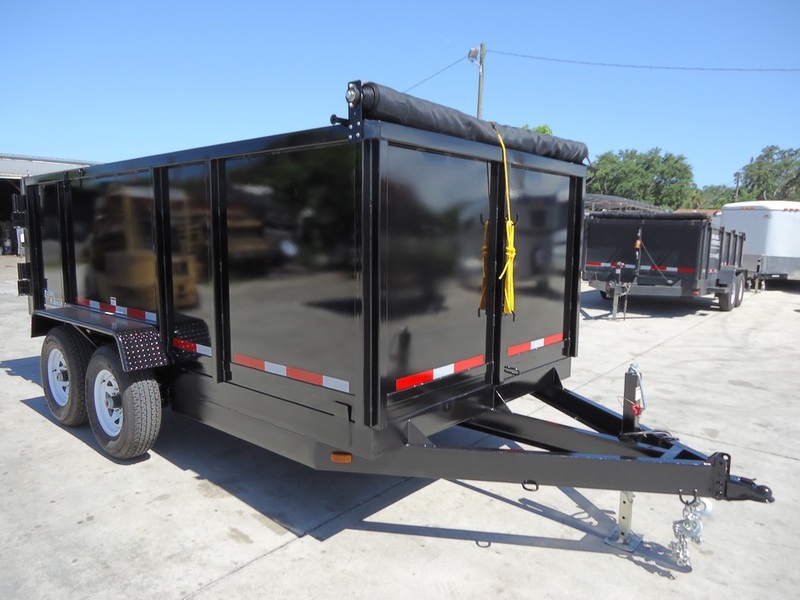 These trailers are designed to haul chemicals and pool maintenance equipment. They come with a Hammerhead mount, extended frame, drain holes and 1 3500 lb axle. 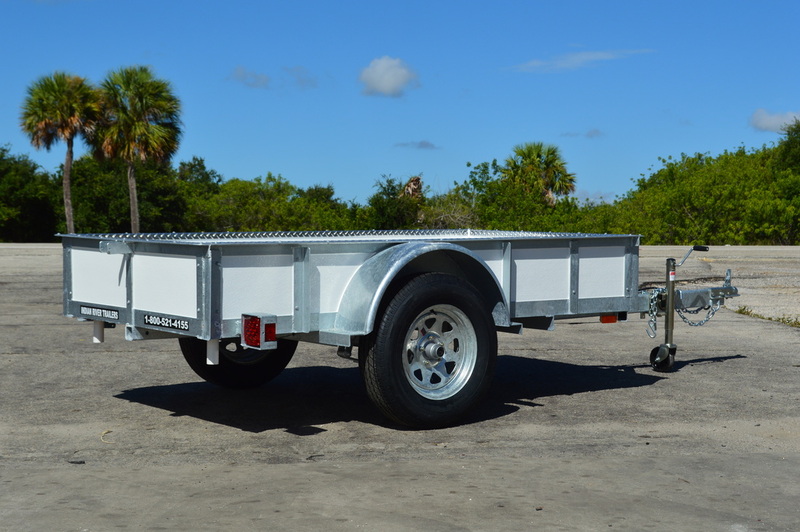 Options include tool box, spare tire, aluminum or galvanized wheel, painted or hot dip frame. Dump trailers range from 6' x 10' to 7' x 14'. 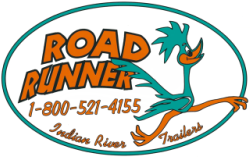 The trailers come a range of sizes and can be customized with tie-downs for your equipment. We are open Monday - Friday 8am - 5pm (sales and service) and Saturdays 8am - 2pm for sales only. Find us just south of Indrio Road on the east side of US 1 in Fort Pierce, Florida. Close to Vero Beach & PSL!